← If you lost your health plan there are alternatives to Obamacare. The TRUTH About Preexisting Conditions. In the book “A Singular Woman: The Untold Story of Barack Obama’s mother” by journalist Janny Scott. Scott reviewed letters from the president’s mother – Anne Dunham – to CIGNA (the insurance company), and revealed the dispute was over disability coverage, not health insurance coverage. Disability coverage helps replace lost wages due to an illness. This story had absolutely nothing to do with her health insurer refusing to pay her medical bills. In fact, she had excellent health insurance, the hospital billed her health insurer directly and her health insurer paid her medical bills, less her deductible and applicable co pays. What about the woman who the president said had her cancer treatment denied because of acne? Well, as you may have guessed by now, that too is a lie. According to ABC News, “President Obama’s description that Beaton’s ‘insurance company canceled her policy because she forgot to declare a case of acne’ is not accurate. By now, you may be asking. ‘Who are you to call the president of the United States a liar?’ Let me answer that. I have been a multi-state licensed health and life insurance broker for nearly 20 years now. I have also served as a health insurance Subject Matter Expert for multiple business journals and television programs around our great country. One of the biggest challenges I’ve had to deal with throughout the years has been trying to secure coverage for people with preexisting conditions who obtain their health insurance on the individual market. They represent 10% of the American insured. I’ve never had to worry about preexisting conditions with the other 90% of American insured who get their health insurance through an Employer Sponsored Group plan. Why? Because the same Public Law 104-191 “HIPAA” has protected them against being denied health insurance because of preexisting conditions for more than 17 years. Because government legislators did not apply this law to individual health insurance policies, you can be labeled as “uninsurable” when you apply for an individual health insurance policy if you have one or more preexisting conditions. That being said, who should we truly blame for the fact that you can be denied coverage for a preexisting condition? Is it the insurance company’s fault? Or are they simply following a law that was written by government law makers who did not include HIPAA portability protection for the millions of Americans who purchase health insurance on their own in the individual market? Because there are no HIPAA portability protections for individual policy holders, this uninsurable status can last for many years and sometimes for life depending on the specific preexisting condition you have been diagnosed with. Some of the preexisting medical conditions that render an applicant uninsurable on an individual policy are: Heart Attack, Stroke, Diabetes, Cancer, Lupus, Multiple Sclerosis, Muscular Dystrophy, Degenerative Arthritis and a host of other preexisting conditions. In addition, there are applicants who have a combination of controlled preexisting conditions but since they have more than three “ratable conditions” they are also labeled uninsurable. Does this mean then that there was some truth in the stories the president told about preexisting conditions? No, he is still a liar. In fact, during the last 2 decades of my career as a health insurance broker I have never been unable to offer someone health insurance coverage, regardless of the severity of their preexisting conditions. In fact, I once secured legitimate major medical health insurance for a woman who was dying of cancer in the hospital. How did I do it? Simple, I am an informed American. I know the laws that were already in place to protect consumers. Laws that were passed long before the president’s health care ‘reform’ law was passed in 2010. 1.) If you have a Corporate tax i.d. number you can purchase a small group health insurance policy from most insurance carriers. With this scenario, a minimum of 2 people (often husband & wife) who work for the same corporation can apply for a small group health insurance policy. Those who are HIPAA qualified will receive coverage for their preexisting conditions immediately. Even those who are not HIPAA qualified will receive coverage for their preexisting conditions after a maximum period of 12 months. Be sure to read the outline of coverage for the Small Group plan you are applying for to make sure it provides coverage for your preexisting condition before you apply. 2014 update Thanks to Obamacare, state High Risk Pool insured members are also losing their coverage all over the country and will be forced into the Obamacare exchanges where many of them will pay more for coverage and be exposed to much more out of pocket, most especially if they do not qualify for a subsidy. Read more about HIPAA protections by downloading “Protecting Your Health Insurance Coverage” from CMS – Centers For Medicare & Medicaid Services. 2014 update This concept is such a good idea that in June of 2011 HHS – the Health & Human Services department – finalized new rules regarding preexisting conditions adopting this concept for years 2014 and beyond. Beginning in 2014 there will be two national “Open Enrollment” periods for all Americans to obtain guaranteed issue coverage regardless of preexisting conditions. Those two periods are from January 1st of 2014 to March 31st of 2014 and from November 15th – January 15th 2015. Outside of those two “Open Enrollment” periods you will not be able to obtain coverage for preexisting conditions on an individual or family policy unless you qualify for ‘Special Enrollment” period. Whilst adopting Ohio’s plan will help to inhibit ‘Adverse Selection’ and provide an impetus for consumers to maintain health insurance between “Open Enrollment” periods. Make no mistake. ‘Adverse Selection’ will still exist because the fine for not purchasing health insurance is far less expensive than actually purchasing health insurance. If this fine amount is not increased, ‘Adverse Selection’ will still continue. This coupled with ‘Community Rating’ – charging young people much more for health insurance could lead to what we in the industry call a “Death Spiral. 2014 Update: Since there is nothing in the PPACA that states health insurers must continue to offer products within the PPACA “Health Insurance Exchange Marketplace” 2016 could end up being a very bad year for the health insurance industry and most importantly for their policy holders. This is true because the massive taxpayer funded ”bail outs’ to the health insurance industry under the PPACA’s ‘three Rs” risk abatement program dries up in 2016. In case you missed that information, let me reiterate. 45 States in our Union provide guaranteed insurability to individual health insurance applicants, regardless of preexisting conditions for decades before the ‘Patient Protection and Affordable Care Act’, a.k.a. “Obamacare”. This is not what we were told by the president. In addition to the aforementioned existing legal options to pursue Guaranteed Issue Health Insurance for those with preexisting conditions. There are also over 1,200 “free” (subsidized by taxpayers and philanthropists) health clinics around the United States. Click “free” clinics in your State to find more information. If your situation is dire, Federal EMTALA law mandates that you must be treated without discrimination at your local emergency room. Many States like Illinois have already dramatically expanded their Medicaid programs to include Tax Payer funded health insurance for low income adults , women who are currently pregnant and women who have been diagnosed with Breast or Cervical cancer. All of these benefits are provided to those without health insurance. In fact, in the state of Illinois, our All Kids Covered plan quite literally provides “free” health insurance to ALL indigent kids including the 75% of recipients who are illegal aliens. Thanks to Obamacare Medicaid Expansion we are about to drive our Illinois Medicaid system into a fiscal death spiral by adding on and expected 800,000 new recipients and being forced as state taxpayers to cover half of the cost of the ‘Woodwork” population. Those who were always eligible for Medicaid but never bothered to enroll. They will be forced to enroll via the Federal health insurance purchase mandate beginning on 1/1/14. On January 30, 2012, the Civic Federation released its “Budget Roadmap”. In it, they highlight the fact that Illinois state officials now believe that the Illinois Medicaid program will have between $21 and $23 billion in UNPAID bills by 2017. The President’s “Patient Protection and Affordable Care Act’ will make that Medicaid debt exponentially worse. Not just in Illinois but around the country in states that choose to further expand Medicaid. Medicaid is the worst and most dangerous health care program ever devised by man. Without reform, I truly fear for the lives of the 17 million Americans that the CBO predicts will be auto enrolled onto this program beginning in 2014. Please Note: The vast majority of health insurance carriers that underwrite Individual Health Insurance plans DID INDEED provide coverage for many preexisting medical conditions (such as Hypertension, Hyperlipidimia, Gastric Reflux, Asthma, etc.) and have done so for many years. Providing of course that these conditions are well controlled by diet or medication AND you duly disclose these preexisting conditions on your health insurance application. This is important to know now because the president’s temporary PCIP – ‘Preexisting Condition Insurance Plan’ already ran out of money and has ceased further enrollment as of March 5, 2013. My friend Bill Elliot’s battle with cancer, Obamacare and our mutual victory over the IRS. This is the worst time to cancel someone’s coverage. And, that is precisely why Public Law 104-191 was written and passed by Congress in 1997. It was written to protect Americans from such a situation. I am writing this article not just to help Bill but to help all Americans who are suffering from an ongoing preexisting condition. If you are one of the 5 million Americans who have already received a policy termination letter or one of the 14 million Americans who will soon receive a letter, you need to print out Public Law 104-191 and highlight section 2742 and then contact an attorney. Or, if you have access to your governor – as Bill does – (his governor is the awesome Nikki Haley) contact your governor or state Attorney General’s office because your health insurer is violating a Federal law based on a posting in the Federal register that was not passed by Congress and as such does not trump an existing Federal law. Since Bill did nothing wrong, no fraud was committed, his health insurer is not leaving the state and they charged him more based on a preexisting condition, they are in violation of Public Law 104-191 section 2742. As such, they have no legal right to terminate his coverage, regardless of a posting in the Federal register. The protections provided to individual policy holders under HIPAA law are reiterated via HHS, CMS and HCFA regulations outlined on page 22 of the “Protecting Your Health Insurance Coverage” booklet available for download at the CMS.gov site here. Want to know the best part? I just heard from Bill and after contacting Governor Nikki Haley and his insurance company and reading to them section 2742 of Public Law 104-191 his insurer has decided to keep his policy in force because he has a chronic illness. Bill just told me the following: “Steve, the company decided to keep me active. Since it is a chronic illness. Until this illness kills me. Battle #1 is won. Now the hard part. You literally saved me. Thank you so much.” Those are the greatest words I have ever heard in my 20 year career as a licensed health insurance broker. I could not be a happier man today! 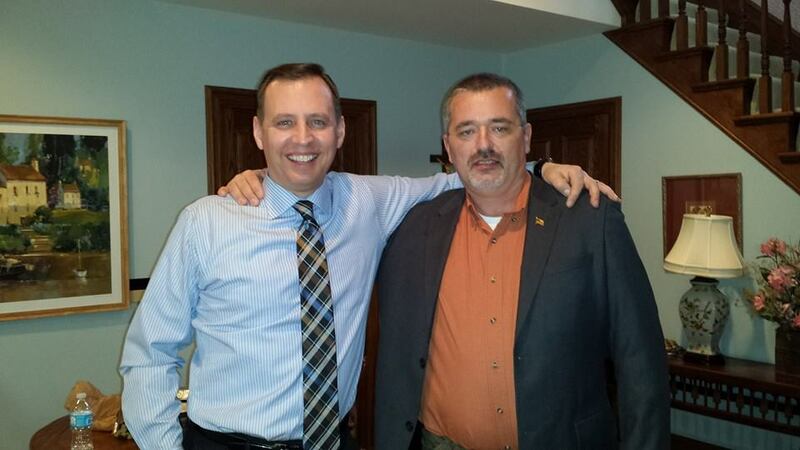 UPDATE #5) On November 27, 2013 Bill joined Rocky D again on South Carolina’s AM1340 WQSC. The good news? Bill is now in full remission thanks in large part to the life saving treatment he was able to continue receiving because his illegally cancelled policy was restored. The bad news? He is now being audited by the IRS and they are now coming after ME all the way back to 2003. Update # 7) Thanks to the fine folks at the Emmy award winning television program “Facing Life Head-On” who took an interest in our story, I had the pleasure of finally meeting Bill Elliot in person today. Below is the TRUE story of Bill Elliott​, Yours Truly, Obamacare and our mutual victory over the Internal Revenue Service. Much thanks to host Brad Mattes​ for knowing the right questions to ask and the fantastic producers at the award winning Facing Life Head-On​ television series for telling our story the right way. Update #8) It is with a grateful heart that I send my sincerest THANK YOU to U.S. 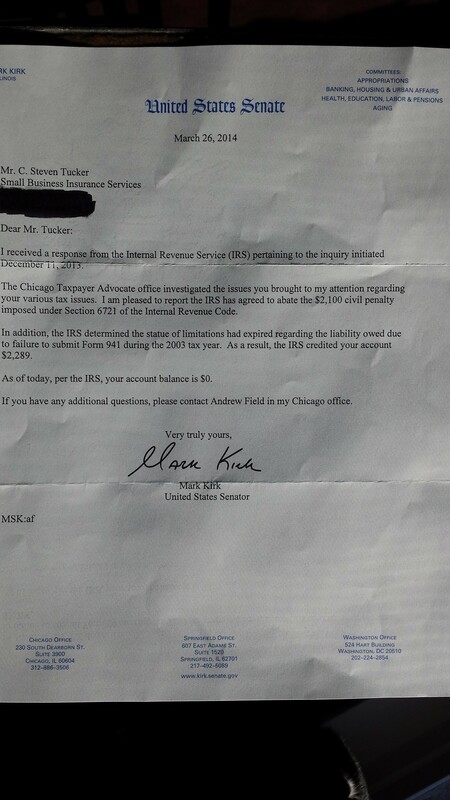 Senator Mark Kirk and his staff for resolving the actions taken against me by the IRS. I also wish to thank Denise Cattoni and all of my fellow Illinois Tea Party patriots who made Senator Kirk aware of the IRS actions taken against me. I am so happy that my friend Bill Elliott and I can both now say that our ordeal with the IRS is OVER. I am eternally grateful to all who took an interest in our story and who gave us emotional support. To my attorney William J. Sneckenberg I also send my sincerest thank you for his competent and professional advice. 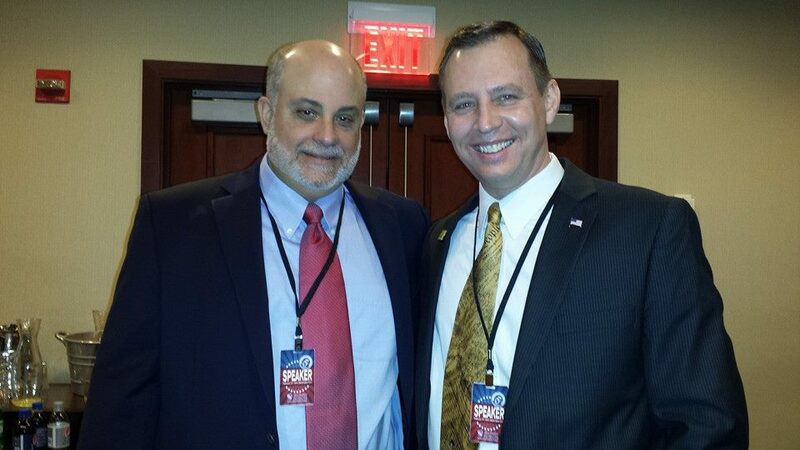 And again at the 5th anniversary of the Tea Party in Washington D.C.
On that day I had the honor and privilege to meet the Great One, Mark Levin. “BigFurHat” at IownTheWorld.com The trendsetter who started it all. Arlen Williams of WeAreGulagBound.com who pushed the story out and detailed it’s movement via Storify. If I missed you contact me and I will list you. Thank you all! Excellent article. Facts are accurately stated. I wish the author had been invited to the Blair house! Thank you! Paul Ryan did a pretty good job though. Thank you Linda! Now if we could ONLY get this information to EVERY American Consumer it would be much more difficult for President Obama to repeat his statement that “Health Insurance Companies deny you coverage and you’re LEFT WITH NO OPTIONS.” I truly believe that if more consumers KNEW their legal options regarding Pre-existing conditions we would have EVEN less support for the current health care “reform” bills. As with all things knowledge truly is power. My question is this: at what cost to the individual can the uninsured obtain health insurance coverage? Again, this is Risk Pool coverage and should only be pursued if you have a medical condition that would render you declined for Health Insurance in the private market. The cost for the high risk pool in Illinois is approximately $15,000 per year. And you say it’s accessible. Ha! I pay a good percentage of my income on health insurance and have a $2500 deductible even though I’m 36, healthy, haven’t had a single claim in 7 years. With this high deductible, after the monthly cost of $300 (and goes up 30% every year without putting in any claims! ), I can’t afford to go to the dr. So this is my catastrophic coverage. PLUS — it doesn’t include RX coverage!!! So if I get cancer, I’m screwed with the monthly cost of cancer drugs. It’s a racket. I repeat: the health industry is a racket. All of you fighting to keep the status quo are either the beneficiaries of this racket or you’ve got your head in the sand. It’s the equivalent of those who fought to save child labor, when the labor movement was struggling against it. Truth speaks to power, and you tea baggers will go down in history with the rest of those who are pro-elite and anti-progress: the sad losers. You guys don’t know what you’re talking about. You are industry hacks hoodwinking the general public into thinking the current system is working. As a small business owner who can’t afford to go to the dr. after my insurance payments, I tell you readers, don’t be hoodwinked by this nonsense! If you’re one of the privileged Americans whose elitist health care system is working for you, think about the 50 million — plus all millions of people like me — for whom it is not. I am NOT for status quo and I don’t know ANY ONE in my industry who is. The FACTS of the matter are, this new law is fiscally unsustainable. There are Intelligent COST saving ways to reform our nation’s health insurance system. This new law does NOTHING to contain costs and instead creates a $1 TRILLION new entitlement by ROBBING from Medicare and Social Security. Both of which currently have an $86 TRILLION unfunded liability. I encourage you to do more due diligence before hurling accusations towards those of us who DO have Intelligent solutions but have been summarily DISMISSED from this entire debate. Interestingly enough, for a woman your age, who is declined health insurance on the Illinois market due to a pre-existing condition, the cost would be about $50 more monthly than what you pay now. Not a large additional price for someone with ongoing Leukemia. Wouldn’t you say? Also, if you don’t have coverage for prescriptions, I highly suggest you purchase a new plan that provides coverage for prescriptions. Just in case you are ever diagnosed with a condition that would warrant the ongoing purchase of expensive medications. There are MANY plans to chose from in Illinois that DO cover outpatient and inpatient prescription drugs. P.S. I have ten clients who are currently insured on ICHIP right now and they could use a little help. Would you be willing to pay 50% of their premium? They would REALLY appreciate that. If so, please contact me and I’ll let you know where to send the check! You apparently don’t know what insurance is. Do you get a refund on your Home Owners insurance or auto Insurance if you don’t have a claim for 7 years? It is protection from “unforseen risk”…..it is not: I give you $3,600 and you pay out and unlimited amount of money forever no matter what the contract says (FYI you will pay between %5,600 and $7,800 per year for the same policy under this law.). No business can survive that and our federal government can’t either. It’s not about “hate” it’s about “math”. If you think this new law “fixes” what you are talking about you haven’t read the bill. Real reform is possible without a wholesale takeover of your individual choices and the free market. it doesn’t add any doctors to the system, but it does fund between 10,ooo and 16,000 IRS agents. It does not “bend the cost curve”: The bill ignored proven ways to cut health care costs and still leaves 24 million people uninsured, all while slightly raising total annual costs by $234 million in 2019.“Bends the cost curve” is a misleading and trivial claim, as the US would still spend far more for care than other advanced countries. In 2009, health care costs were 17.3% of GDP. Access to the “high risk pool” is limited and the pool is underfunded. It will cover few people, and will run out of money in 2011 or 2012: Only those who have been uninsured for more than six months will qualify for the high risk pool. Only 0.7% of those without insurance now will get coverage, and the CMS report estimates it will run out of funding by 2011 or 2012. ■18% have health insurance but can’t afford to use it. The bill will not bring down premiums significantly, and certainly not the $2,500/year that the President promised. No one wants the “status quo”, but this plan does not fix many of the major problems that the Federal Government can “regulate” and takes control and mandates things that the Federal Government can’t. This law is designed to “control” the system, not fix it. Spending 2 TRILLION dollars to insure 10% of the population does not require you to dominate and controll the other 90%. When you take away the “personal” aspects and focus on the math and the law, you will find that what you THINK the law does and what it ACTUALLY does are two different things. I find that being INFORMED is more important than being OPINIONATED….perhaps you should read more of the actual documents vs. the pundents. It’s all in there….all 2,300 + pages of it. I agree 100% with what you say in your reply! I paid $900+ a month in insurance premiums and every year it would go up 10%-20% more depending on if we had to use the insurance or not. The health insurance in this country has got to change and it’s too bad they couldn’t have fixed it a long time ago before many (I’m guessing millions) had to file bankruptcy because of medical bills. I, for one, am glad to see this discussion is taking place! I read this article and your piece on MSA plans. I agree that the Obama plan simply shovels more money and cost shifting into a system that’s already broken. However, I believe your analysis of the problems and proposed solutions overlook the effects of self selections and blame our escalating health costs on hypochondriacs rather than on the the ballooning expenses of the chronically and catastrophically sick. The money consumed by a Terri Shaivo or a Nataline Sarkisyan would pay for hundreds or thousands of hang-nail and sniffle cases. It’s no wonder that MSAs save their holders money; they tend to only attract reasonably healthy patients. It’s also no surprise that where there is a choice (in Colorado) patients who opt for coverage of substance abuse treatment would cost twice as much, since not only are nearly all of them individuals or families with an ongoing substance abuse problem, but they are also most likely sicker in other ways (as substance abusers tend to be). So, it would be unreasonable to expect the cost savings from either MSAs or policies without substance abuse coverage to be nearly as great if either model were applied to the population at large. While the MSA model offers some incentive for cost savings, it also encourages patients to put off preventative treatments that would save money in the long run. More importantly, it has the same inherent problem as most private health insurance in the US: the insurance is purchased on an annual basis. This encourages patients buy the cheapest coverage until they get sick, hoping some government program or mandate will cover them after that. The only way private insurance can work in a sustainable, stable and reliable way in this country will be to base it on life-long contracts requiring insurers to cover their clients even after they are no longer profitable while requiring the insured to chose what coverage they’re willing to fund and what restrictions they’re willing to tolerate before they get seriously sick. This would encourage both sides to focus on long term costs and might end the prevalence of substance abuse, risk taking, obesity and other self abuse amongst Americans. Great comment PCL and thank you for reading. I think your information regarding MSA’s (Medical Savings Accounts) is a bit outdated. This being the case, I wanted to expand on your thoughts a bit. Firstly, the IRS laws pertaining to the design of MSA qualified HDHP’s (High Deductible Health Plans) were significantly improved under the former Bush administration. They are also no longer referred to as MSA’s. The new acronym is HSA or Health Savings Account. Whilst you are correct that under the old MSA legislation people would indeed put off treatment for Preventative Care. That problem has long since been remedied by an adjustment in the IRS laws pertaining to the design of Consumer Driven Health Insurance products. For example, it is now (and has been for quite some time) the norm for HSA qualified HDHP’s to provide “first dollar” Preventative Care benefits. “First dollar” meaning NO deductible required. Child (under age 19) and Adult immunizations. Mammogram, cervical and Pap smears. EKG and cardiac stress tests. PSA tests and digital rectal exams. These first dollar Preventative Care benefits have been the norm in the industry for many years now. So the concern about delaying preventative care is no longer an issue. You also stated that these types of products only attract “reasonably healthy patients”. To that I must state that either my entire block of business is reasonably healthy OR there must be another impetus for the vast majority of my clients asking for and maintaining HSA qualified HDHPs. That impetus is the desire to have not only significantly lower premiums BUT to be in control of the cost of every day procedures and to take the savings they would spend on a “Gold Plated” health plan and PAY THEMSELVES. That is the concept behind Consumer Driven Health Insurance plans and contrary to popular belief, purchasing and maintaining a Consumer Driven Health Insurance plan REDUCES the out of pocket expense for the average consumer. Most especially when you compare “apples to apples”. = $16,500 in TOTAL Family Risk EACH YEAR. The total monthly premium for a Traditional plan with above arrangement is $633.24/month. The premium savings per month between both products is $193.80 or $2,325.60 annually. And as the comparison above shows, the total calendar year risk to a family is $9,500 less each year. In addition, once you have an HSA qualified Health Insurance plan. The IRS allows you to open the aforementioned Health Savings Account (a.k.a. Medical IRA) if you choose to do so. a.) All funds deposited in to your Medical IRA (HSA) are 100% tax deductible.This means less taxes and more money for retirement. It’s always better to pay yourself than the insurance company. Most importantly, when you withdraw your HSA funds to pay for any of the qualified medical expenses on that list, those expenses themselves become 100% tax deductible. c.) Here’s the key point though. If you have just ONE year without any large claims (most families have MANY years without large claims) and you fully fund your Medical IRA, then if the worse case scenario occurs, you will have those funds available and be able to withdraw them with no penalty and use that money to help pay your calendar year “common family” deductible. In year two with no large claims, you will be that much farther ahead of the risk management game. In fact, no other kind of Health Insurance actually lowers your risk the longer you own it. I say this because, there is no other kind of IRA that you can withdraw from at any time with no penalties. This being the case, the longer you fund a Medical IRA (HSA), the lower your risk becomes by owning an HSA qualified Health Insurance plan. Simply due to the fact that each year you fund the IRA, the more money will be there if the worse case scenario occurs. One of those videos is the story of John Mackey (CEO of Whole Foods) who decided to adopt this concept and was initially lambasted by his employees for “taking away their copay”. A few short years later though, not only are his employees very happy with their HSA qualified plans but they are sitting on thousands of dollars in their HSA accounts and they are actually negotiating prices with medical providers because they KNOW that whatever they DON’T spend on medical expenses is THEIRS TO KEEP for their retirement and or future medical expenditures. Regarding your comment about “purchasing health insurance on an annual basis”. This is always an option for the consumer but it is most certainly not the norm. In fact, those with Consumer Driven HSA qualified plans keep the same policy in force for many years since they keep building a larger and larger HSA account with money that they would given to an insurance company for a low deductible, low co pay plan. So for them, they have the option at renewal of simply raising their deductible (and lowering their premium) to offset any premium increase that may come from the insurance company upon annual renewal. They can do this comfortably because they have been “hedging their bets” with money that would have otherwise given away to the insurance company for a low copay low deductible traditional health insurance plan. Consumers also always have the option (and should exercise that option annually) to shop for another plan with a lower introductory price.s As long as they purchase another HSA qualified plan they get to RETAIN their HSA balance and continue to build it with their new HSA qualified plan. All things considered, HSA qualified HDHP’s are simply the most intelligent way to insure anyone. Most especially a family. This is why their popularity has skyrocketed in the last decade. One of the MOST important pillars being the EXPANSION of HIPAA portability laws to include individual health insurance plans (bullet point number 4 on that page). This simple adjustment to outdated HIPAA law would allow consumers to move from one individual plan to another individual plan without fear of being denied due to a pre-existing conditions. The same “freedom” applies to ALL Group Health Insurance plans and should also apply to Individual plans. This would provide an impetus for consumers to CONTINUE to pay into the system as they do on group health insurance plans (knowing that maintaining coverage with no lapse of more than 63 days would guarantee them coverage for pre-existing conditions on the new plan). This is the case with current HIPAA portability laws pertaining to GROUP health insurance and it should also be so with Individual plans. Instead, with the new health care “reform” law their is little to no impetus for a consumer to continue to pay into the system by regularly paying health insurance premiums. Simply due to the fact that the “penalty” for NOT purchasing health insurance is significantly LESS than the cost to purchase AND the consumer can simply buy a policy the moment they get sick. NOTHING could be more actuarially UNSOUND. Imagine purchasing a new Mercedes, driving it down the express way. Smashing it and burning it and then being able to call your Car Insurance agent and buy a policy to “cover it”. Such a concept is PURE insanity and yet that is EXACTLY what the new “reform” law allows. Regarding “life long contracts”. All Health Insurance policies available on the market today are already “life long contracts” since there are Federal laws that were passed more than 13 years ago that PREVENT any insurance company from canceling your coverage when you get sick. This being the case, the only person who can end the contract is the policy holder themselves (except in the case of insurance fraud). If they wish to keep a policy for their entire life they can. Or they can simply purchase a variety of other plans as their needs chance. This is the IMPORTANCE of maintaining consumer choice by PROMOTING healthy competition. Regarding “substance abuse”. It is simply unfair to require other consumers who do not lead unhealthy lifestyles (such as drug and alcohol abuse) to PAY MORE for their health insurance coverage when they CHOOSE to lead healthy lifestyles. THIS is the problem with State imposed mandates that REQUIRE all policy holders to pay SIGNIFICANTLY higher premiums for THEIR coverage when they lead responsible lifestyles. And it is these KINDS of mandates that have DRIVEN up the cost of ALL health insurance plans and brought about the development of lower priced HSA qualified plans. As with all actions there are equal REACTIONS. If you choose to follow an unhealthy lifestyle or dabble in alcohol or drug abuse. The REACTION to your ACTION should be HIGHER premiums FOR YOU not for those who lead healthy lifestyles. Mandating that ALL pay more, is EXACTLY what drives health insurance companies OUT of a State, leaving consumers with fewer and fewer options. Case in point California. Since the mandates in California REQUIRE health insurers to cover things that are CLEARLY NOT medically necessary, the VAST MAJORITY of Health Insurers simply choose NOT to offer their products in that State, leaving thousands of consumers dramatically fewer choices, dramatically higher premiums and poor customer service. Why? Because the few carriers left that are willing to take the extra risk develop an UNHEALTHY monopoly on the market specifically due to the LACK of competition. NOTHING drives down quality and drives UP prices like LACK of competition. This is why one of my pillars of health insurance reform calls for the purchase of all health insurance plans from all 1,300 Health Insurance companies to be sold anywhere in the U.S. across ALL State Lines. In fact, if MORE competition were allowed and there were REAL incentives to consistently pay in to the system insurers may actually be able to cover substance abuse and other self inflicted woes for a more reasonable price. As with ALL things, personal responsibility is the KEY to all pillars of reform. To require a healthy responsible family to pay significantly more for their health insurance because another leads a life of substance abuse is not the answer. In fact, KNOWING that your lifestyle choices would be subsidized by another gives those who lead such lifestyles little to no reason to attempt to curb such unhealthy lifestyle choices. Thanks for your quick response. I’m glad to read of the improvements in HSAs over MSAs. They are probably an under appreciated option for those seeking individual policies. I agree with your contention that individual plans should get all of the tax advantages that group plans currently receive. I see some potential cracks in the protections against cancellation and the treatment of pre-existing conditions, though. Do the laws preventing insurers from canceling coverage as soon as a patient gets sick also require them to renew coverage indefinitely without a rate increase beyond what other patients without such a condition would have gotten? Can policy holders attempt to game insurers by picking the cheapest options when they’re healthy and upgrading them as soon as they get sick? If a patient who has just come down with cancer attempts to “shop for another plan with lower introductory prices”, I assume that he or she wont find a lot of insurers eager to offer coverage for an affordable rate. This is why I call this coverage “year to year”, if either party can cancel, raise rates arbitrarily, or change coverage, there is no guarantee a given condition will be covered affordably beyond the end of the year. Of course, if the new law prevents exclusions for pre-existing conditions without a requirement for previous coverage, that just moves us to the other extreme, with costs continuing to explode. John Cochran (the economist, not the OJ lawyer) has proposed at least two systems whereby the insured could switch carriers without sticking the new carrier with the bill for an ongoing condition; it would probably be worth adding one of them to the HSA model if lifetime contracts are considered too restrictive. Either choice would force patients to choose (or refuse) the coverage that suits their beliefs and lifestyle (rather than current condition) before they need it, whether it be drug rehab coverage, heroic end of life treatment or any other controversial coverage. For the nation, I would like to see Medicare and Medicaid replaced with a two tier system in which the government covers all the cheap, non-controversial care (like immunizations and broken arms) for all while requiring individuals to buy private insurance (possibly HSAs) for anything beyond that. Since (from what I’ve read) 75% of our health costs are for the chronically or terminally ill (the figure is probably higher for Medicare), this should drastically reduce the government’s health expenses while giving people the choices and incentives to take care of themselves. I believe that if Obama had proposed a long term transition to such a system, phased in by generation (to avoid enraging those currently depending on Medicare), he would have avoided the public wrath he and his supporters will receive when the mess that passed last month starts to fall apart. was sickened by your notion that individuals with severe and serious medical issues can obtain legitimate insurance coverage. While you listed possibilities, when you learn the actual details of these suggestions, they mount to nothing. As someone who is still alive, but struggling with an illness that will ultimately kill me, I know what I am talking about. I have been in the healthcare system all my life. As a young girl, I had insurance coverage by my parents, when I was married, I was covered by my spouse’s plan, and when I was well enough to work, I had group coverage. However, individuals with my defect get sicker as they age, and once congestive heart failure made me too sick to work, I was forced to go on COBRA, which subsequently ran out. Leaving me, sicker than ever, but for the first time, without any health insurance. I unfortunately joined the ranks of the unemployed and uninsured. Thanks to my congenital heart defect. Despite the lies and innuendos, without group coverage or Medicaid, we cannot obtain legitimate health insurance. I will point out how your logic does not work for those of us with severe medical problems. There is little truth in this, as I focus on the term “legitimate”. For individuals with multiple surgeries and lifetime meds there is no such thing as LEGITIMATE HEALTH INSURANCE. This is a joke, the guaranteed issue health insurance plans are all limited benefit plans, with nothing more than a $50 maximum physician benefit and a $2,000-$3,000 maximum payment for an inpatient stay. That is not LEGITIMATE HEALTH INSURANCE. Do you have a family member with a congenital heart defect or any congenital defect that requires lifelong care? Do you really think that this type of benefit will provide the same kind of care your Congressman gets? Of course not. You suggest that pople with pre-exisitng conditions (which includes serious illnesses such as cancer,kidney disease, heart disease, birth defects, pulmonary disorders, etc) can be covered. I will respond to your suggestions, that appear logical, but actually, in real life, are not. 1. Your 1st suggestion: “if you have a corporate tax ID number you can purchase “small group insurance” Don’t you realize that some people are too sick to work. There’s that notion, again, that people can go to work no matter what. You dissociate the fact that everyone is different, that some people are actually dying of their illness, some are too disabled by their illness, some are confined to their beds, why is this so hard for conservatives to understand? 2. Your 2nd suggestion: Purchasing from the state as a “group of one” – again the logic fails to understand that some people are too disabled by their illness to work; and without work, there is no route to insurance. Not every American is an able-bodied individual – somehow this keeps getting lost in all discussions. I worked for 40 years, but when my congenital defect led to my heart failure, working became impossible. 3. Your 3rd suggestion: Enroll in your state high risk pool. Here in FL, our high risk pool is dead. FL has refused to accept new enrollees since 1991. 4. Your 4th suggestion: “If you live in one of the 10 states with” a mandate for guaranteed acceptance insurance. Here in FL we have a joke of a plan touted by our governor, Cover Florida. There are other private plans with similar features. They are so limited in coverage, they have disclaimers in the fine print. They don’t even cover what Florida mandates for standard health insurance plans. These are glossed up to look good, but the details, Blue Cross’s Cover Florida plan is worse than a joke – They pay $50 max for a physician visit and $3,000. max for an inpatient hospital visit. My last heart surgery cost $64,000. How much does colon cancer surgery cost? Or a mastectomy? Hmm, silly of me to suggest, but maybe more than $3,000? Then what, the patient pays the remaining $60,000 – is that legitimate insurance coverage? Who are you trying to fool? Our Republican governor wants Floridians to believe this is good stuff. OMG!!! I’d like to see him cover his family with this plan. serve an important function and I would love to see more, but for individuals with unique medical issues, this is far from the answer for care. I don’t think the health care reform bill goes far enough. It is so far from where it needs to be, it is sad. What is even sadder is that the Conservative right lacks any sense of compassion. I am sorry to here about the trouble you are having obtaining health insurance coverage. Let me address your issue and inform you of your options under Medicare & Social Security and point out where you made a CRITICAL mistake that has led to the problem you are facing right now. Your critical mistake is that the MOMENT you were unable to work due to your condition. You should then have applied IMMEDIATELY for SSDI and EARLY Medicare benefits, so that WHEN your Cobra continuation coverage expired, you would have been able to begin your SSDI and early Medicare benefits with little to NO lapse in coverage. Not doing so was a CRITICAL mistake. Fortunately it is one you can recover from if you can get past your penchant for insults and LEARN from what I am telling you. By the way, don’t you find it interesting that a “Heartless Conservative” like myself is WILLING to EDUCATE you so that you can access the benefits you SHOULD HAVE ENROLLED FOR YEARS AGO? Furthermore, whether you were “sickened by my comments” or not, the facts are the facts. Every American in the United States (MOST ESPECIALLY THOSE WHO ARE UNABLE TO WORK) are ENTITLED to health insurance coverage, either through Medicare (AS YOU ARE) or through one of our nation’s risk pools or guaranteed issue clauses. Not to mention the TRILLIONS we spend on “uncompensated care” in our nation’s emergency rooms which not only adds to our already OVERBURDENED Medicare and Social Security system but leads to “cost shifting”. More PROOF that you did not even bother to follow the links enclosed in my article OR EVEN FINISH THE ARTICLE is your RIDICULOUS assumption that by stating one has access to legitimate health insurance coverage that I am REFERRING to DANGEROUS limited benefits plans! If you had actually READ my entire article you will notice that in the last 2 paragraphs I specifically WARN consumers to STEER CLEAR of the limited benefit plans that YOU SAY I AM RECOMMENDING! This is simply ludicrous and it is proof positive that you did not even BOTHER to READ the information presented and INSTEAD decided to hurl insults and accuse me AND ALL OTHER CONSERVATIVES as being “heartless and uncaring”. THIS IS NONSENSE and you owe ME and ALL OTHER Conservatives an apology. The ONLY accurate statement you made in your entire diatribe was the fact that the Cover Florida plan provides GROSSLY Insufficient coverage. This I AGREE with. This is why in my article pertaining to my ideas for Intelligent COST SAVING ideas for Health Insurance reform: https://csteventucker.wordpress.com/2010/03/02/intelligent-health-insurance-reform-using-free-market-principles-and-limited-government/ I recommend EXPANDING risk pools to all 50 states (as by the way, the new health care reform law does, albeit it limits these pools to a 5 year period until the new “exchanges” are set up). Why do I recommend this? Because State Risk Pools DO INDEED offer LEGITIMATE Health Insurance plans to ANY applicant regardless of pre-existing conditions. Risk Pool coverage is NOT limited benefit coverage. It is indeed LEGITIMATE Major Medical Health Insurance coverage. In closing, I suggest that you DO YOUR DUE DILIGENCE and FOLLOW my ADVICE to the LETTER and exercise your LEGAL RIGHT to Health insurance coverage. This is something you SHOULD HAVE DONE a LONG time ago and the reason you are in the situation you are in now is BECAUSE you neglected to pursue your rights. To blame ME and other Conservatives as not caring will not solve your problem and rhetoric such as this LEADS to the problems we are facing right now. Namely, the DIVISION of the American people, instead of the UNIFICATION of the American people towards solving problems that affect ALL of us. to be fair it may have been simply a matter of not being infomred at the right time, anybody can make a mistake there. I commend you on your thoughtful and caring response to someone who was insulting you. I thank you for giving him a real answer to his problem. I hope Dr. Zoe has the courage to put aside his assumptions about conservatives, and will instead take the path of due diligence that you recommended. Afterwards, rather than an apology, I hope he has the integrity to THANK YOU for helping him find the solution for his terrible situation. Keynote Speaker, Author, and Success Coach. Your site was extremely interesting, especially since I was searching for more info on this just sa few days ago. While you do have a lot of resources at your fingertips, it seems you are not informed about the important details of the Social Security Administration’s Disability programs. You felt it necessary to chastise and admonish me for not knowing about SSD and SSI programs. You chastised me for not being smart enough to know of this plan and assumed I made a mistake by not applying. You assume way too much. I applied to this program the day after I left my cardiologist’s office with the diagnosis an illness that is usually fatal within 5 years of diagnosis. Unfortunately, you seem to be uneducated about the fine details of qualifying for SSD. Let me help you. I’ll point out that there is no such thing as receiving early Social Security or Medicare due to a debilitating condition. SSA does not recognize this term. Only permanently disabled individuals are recognized. Secondly, these programs are NOT available to an “American citizen unable to work.” (your term) If SSD and SSI were to grant insurance benefits to individuals who are meet this condition, many more people who deserve the benefit would receive it. It isn’t working that way in the real world. I wonder if you are familiar with the tragic stories of many American citizens who have been refused the benefit. A frequent problem with people using secondary sources to cite information (such as your citing an e-magazine vs SSA documents) is that they haven’t done their research properly. Secondary sources such as magazines and the e-magazine you cited often lack the pertinent details. This is why when you really want to know the truth about something, you need to go to the primary source for data. Refer to http://www.ssa.gov/dibplan/dqualify4.htm. When you scroll through these pages you will find that an individual must meet very strict criteria to be considered “disability insured.” An individual must meet a) technical criteria relative to work history, work years, amount of credits earned in the last ten years AND b) medical eligibility determined by Social Security Administration. Many people are under the assumption that anyone who has ever worked qualifies for this program. Not so. I was rejected by lack of 1 credit of work in the last 10 years. Many of my patients have been rejected by this program and this program is well known for rejecting 2/3 of those who apply the 1st time. Many applicants must use an attorney to represent them through an appeals process and may be approved in the third phase of appeal ( this is for medical rejections, not technical rejections ). I would suggest that you do some reading beyond the surface simple fact sheets about the SSD programs. As you likely know, there are many rules and many exceptions to qualifying for any type of insurance. So, it is far from true that any American citizen too debilitated to work can obtain SSD. Yes, there is a law, but it’s not the law that people think it is. Lots of small print in this law. Furthermore, if you read deeper into the pages of your own resource http://www.money-zine.com/Financial-Planning/Buying-Insurance/Medicare-Eligibility/ you will find that they spell out the work credit requirement. I agree with you about all American citizens having access to insurance. I thought it was too bad that you assumed I didn’t read all of your article, indeed I read it all – I read all your links – I believe we agree on many things, but I know that we don’t on many. That’s fine, that’s life, we are all different, there are many perspectives in life, this is your blog, I am a guest. But as I see it, you still can’t solve the challenge – you see all Americans really can be insured and I say not so. Not at all! Not the way it is now, not the way it will be with the new plan recently approved by Congress. Firstly, I sincerely apologize if you thought I was questioning your intelligence. This is most certainly not the case. However, when my fact based information “sickens you” and my information is referred to as “lies” and a “joke” and I and ALL other Conservatives are referred to as “uncaring” and “lacking compassion” AND you state that the guaranteed issue clauses available in 45 States provide consumers nothing more than “limited benefit plans” (which I specifically warn consumers against in the same article) I get a little bit defensive. Moreover, I had no choice but to assume that you did not read the information provided. If you had, then you would have realized that Risk Pools, like the one provided in my home State of Illinois DO INDEED provide consumers “legitimate comprehensive health insurance coverage”. In fact in my home State of Illinois our risk pool is called the “Illinois “Comprehensive Health Insurance plan”. It not only provides immediate coverage for pre-existing conditions for those who have exhausted a Cobra continuation plan, but it also provides coverage for those who have simply been declined health insurance on the open market due to a pre-existing condition. Furthermore, it provides millions of dollars in benefits per insured with coverage for outpatient prescriptions, outpatient and inpatient care, including doctor office visits, lab & x ray work; diagnostic benefits and routine preventative care. That is most certainly not a “limited benefit” plan. 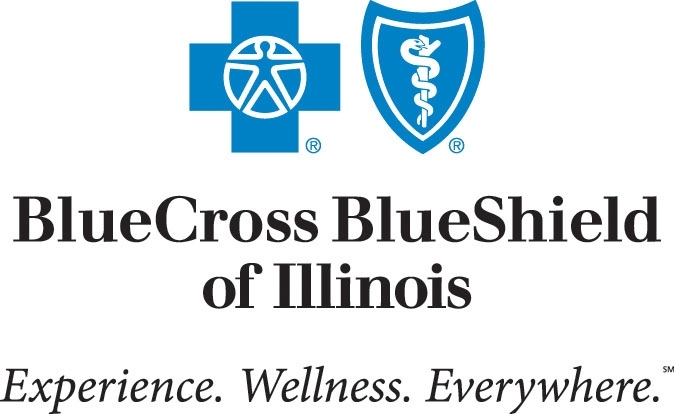 In fact, the plan is administered by Blue Cross Blue Shield of Illinois so insured members have access to the same doctors and hospitals that anyone else who holds a Blue Cross policy has access to. In fact, in the majority of other States that provide Risk Pools, such “comprehensive health insurance coverage” is available to ANYONE who can not qualify for private health insurance due to a pre-existing condition. I believe the reason why you have such an aversion towards my comments is that you live in a State that does NOT provide a Risk Pool and DESPERATELY needs one. Sadly, the only State guaranteed issue plan that you are entitled to as an individual is the Cover Florida plan which you referred to in your initial comments. Whilst this plan pales in comparison to most other guaranteed issue State plans, it does provide coverage for routine preventative care and provides a $500,000 lifetime benefit. Yes, it could be better, but nonetheless, it IS legitimate health insurance coverage and you can get it if you have been declined health insurance coverage or if you are low income. If your benchmark for “legitimate health insurance coverage” is the plans that are enjoyed by members of Congress you will be hard pressed to find that kind of coverage anywhere on the open market. Not just because many plans available in the private market pale in comparison to the design of the plans available to Congress, but more importantly because those plans are entirely PAID FOR by the U.S Tax Payer. You are also correct that there are requirements for SSID. I did not state that there was not. In fact, you acknowledge in your response that I stated “unable to work due to a debilitating illness”. The definition of “debilitating illness” is “any condition in which there is major irreversible morbidity”. So we can mince words, but the meaning remains the same. Someone who is rendered permanently disabled due to a medical condition. I am also very well aware of how difficult it is to obtain SSID and early Medicare since a very dear friend of mine and also an immediate family member both qualified for SSID and it was NOT easy. Lot’s of paperwork, initial refusals and then eventually they were both granted SSID and early Medicare benefits (if that’s not an argument AGAINST government run health care, I don’t know what is). For clarification. My close friend qualified due to Multiple Sclerosis and my immediate family member has Arteriosclerosis. So I guess we are both guilty of assuming things about each other that were not true. This being the case, I suggest that if we both choose to proceed forward with our dialogue we avoid using statements such as “sickens me” and “Conservatives are uncaring” and “lack compassion” and that my information is “lies & innuendo” because it is most certainly NOT. In fact, to call it such, is to call every State official who administers a risk pool or a guaranteed issue State clause “uncaring” “lacking compassion” and a “liar”. I can assure you that thousands of State plan administrators are not liars and that the plans are NOT “limited benefit plans, with nothing more than a $50 maximum physician benefit and a $2,000-$3,000 maximum payment for an inpatient stay” (your words). nationally, 35 state risk pools currently insure over 200,000 Americans, by providing “comprehensive health insurance coverage”. And that data is just pertaining to the Risk Pools. Were not even discussing the other 10 States which require insurance companies themselves to spend millions by issuing a percentage of their block of business to individuals with pre-existing conditions EVEN THOUGH they would be uninsurable by any legitimate Individual Health Insurance underwriter’s criteria. In closing, my options for helping you are limited by the regulations in your State which is WHY one of my pillars of REAL Health Insurance reform calls for PERMANENT Comprehensive High Risk Health Insurance pools to be implemented in every State. So that situations like yours would have a clear and LEGITIMATE solution. Your other option would be the aforementioned Cover Florida plan. I truly wish I had better options to present to you but I do not. Your case is a perfect example of why our current Health Insurance system NEEDS REAL reform and I agree with you, this new health care “reform” law DOES NOT accomplish this by any means. In fact, it still leaves over 23 Million Americans uninsured EVEN AFTER 2014 when all the “benefits” are to be implemented. Hello Steve, I am considering canceling my family’s health insurance in the next couple of days because we can no longer afford it. Most peoples mortgage payments arn’t as much as my monthly insurance payments. I went online to see if I could find anything on the company we’re insured with (Mid-West Nat’l Life) and I found you. I have been reading your articles and blog, and I’m totally lost! Our insurance started out at about $500 a month and now it’s right about $1400 a month. It almost tripled over the last ten years. Do you have any suggestions? My husband (53) is a fishing guide in the Florida Keys, I’m (50) and unemployed and my daughter is (24) and is in graduate school. I can’t stand Mid-West Nat’l, I feel they’re taking advantage of us. Thanks so much for for your help! I will contact you via your email with some recommendations that will FAR better suit your needs. I am THRILLED that you decided to do some due diligence on finding a better option. I only wish more people would do the same thing. My recommendation will be a move to a consumer driven tax qualified health insurance plan. This is the smartest (& lowest priced) way to insure anyone. I do need your home zip code but I will obtain that private information from you via email. Please watch for an email from me shortly. I have an individual policy through BCBS. My oldest son (22 a Toyota salesman) left my policy for his own BCBS policy when he left college and moved to his own residence. BCBS has since changed the age I can carry my kids to 26yrs. I want to put him back on my policy to help him with the costs. They keep raising his rates, etc. I am wondering if this is a wise decision in the long run. What if he develops a preexisiting condition and does not qualify for his own policy again? Should I put him back on my policy? Thank you so much for coming out and supporting SMALL Government and FISCAL RESPONSIBILITY! The answer to your question is YES! It will be much cheaper for you to insure your son on your existing policy. You should not have any concerns about pre-existing conditions so long as he does not suffer from a pre-existing condition now. If he is healthy, he will be perfectly fine on your policy. The only time you have to worry about a policy rescission is if he had a condition NOW and fails to disclose it. Since he is healthy, you are good to go! Please feel free to ask any other questions you may have in the future. Have a GREAT day Patriot! Excellent guide, keep the wonderful work. I’m a visiting tutor at Goldsmiths University, London, and am on the editorial board of an on the internet forum for industry experts. You gave me some good concepts for my own internet site. Hi – very good web site you have established. I enjoyed reading this posting. I did want to issue a comment to tell you that the design of this site is very aesthetically pleasing. I used to be a graphic designer, now I am a copy editor in chief for a marketing firm. I have always enjoyed playing with information processing systems and am attempting to learn code in my spare time (which there is never enough of lol). Yes. My other page @ http://www.TRUTHaboutObamaCare.com has more information. Been browsing your posts for few days. Would like to leave a comment let you know I truly love your website. Thank you! You’re performing a great service to your audience by opening up the remarks section, it is a terrific way to keep in touch with them. There are many resources here and thank you for being so kind to post them. I’m still learning from you, while I’m improving myself. I definitely enjoy reading all that is posted on your website.Keep the posts coming. I enjoyed it! I was diagnoised with Breast Cancer in February of 2010. I health insurance from my employer to cover the costs of the chemotherapy and 3 surgeries. I was involuntarily terminated by my employer because I wasm’t able to return from my FMLA when they determined me to do so. I was scheduled for my second surgery to remove cancer cells two days after my sceduled return back to work. I couldn’t afford to obtain cobra health insurance because of the high costs. Now I have a pre-existing condition and I am jobless and I have no health insurance. High Risk pools sound good, but the increased costs of the premiums due to my illness makes it impossible for me. I live in Californiam, and there are the high risk pools. I have read that I have to be without insurance for 6 months to be able to qualify for these pools. Is it true the cost of this type of insurance is 125 to 200 per cent hight than the free market prices? The only way I can see for me to have any health insurance is by being employed. Do you know any aternative, other than me going bankrupt in the process? I’m single, and living off what little money I make on unemployment insurance paymests. I recommend that you contact them immediately to begin receiving the treatment you need at little or no cost to you. 2.) You are correct that High Risk Health Insurance Pool premiums are significantly higher than health insurance you can purchase on your own in the private market. This is so because only those with costly pre-existing conditions apply to these programs. Without any healthy applicants within these pools it is very difficult for the actuaries to keep premiums low. That stated, California now has two separate High Risk Health Insurance pools and while the premiums are indeed high, they are lower than many Cobra continuation premiums. Since you have been uninsured for more than 6 months you qualify for both High Risk Health Insurance Pools. 3.) Since the new new “PCIP” (Pre Existing Condition Insurance Plan) has been subsidized with $5 Billion of our tax dollars, the premiums are lower than the the existing “MRMIP” (Major Risk Medical Insurance Program) and the coverage is also far superior with an unlimited lifetime benefit. Please feel free to contact me again if you have any additional questions. I wish you much strength & God’s speed in your recovery. Can I just say what a relief to find someone who actually knows what theyre talking about on the internet. Good website. I saw the link on Twitter. I love getting my SSI benefits. Thanks for the post. I hope you also enjoy the hassle, red tape and worry with being on the government dole. I have a son that is bipolar and has asthma. He turned 26 a couple of months ago and is not eligible under my insurance any longer. We are in California. His meds are 300-500 dollars monthly. We did get a free month from the drug company but don’t know what to do after sept 16 2013 when he will be out of medication. What can he qualify for before Jan 1 2014?? He lives at home and works part time. As of January 1, 2014 your son can qualify for any health insurance plan available on the market during the first national “Open Enrollment” period which lasts from 1/1/14 to 3/31/14. There will be no preexisting conditions during this time period. He can qualify once again during the second national ‘Open Enrollment’ period from 10/7/14 to 12/15/14. While I agree with some of your statements concerning availability of healthcare, I have some disagreements concerning affordability. I am a 15-year sufferer of heart disease and require a pacemaker. I recently lost my SSI due to my husband’s income increasing, hence I also lost Medicaid. The high risk pool in the state of Mississippi had a 10k deductible for a female in her mid-30s and a larger premium than I could afford with raising a family of 4 on 35k a year. I do not qualify for SSDI as I have worked very little due to my condition. I have also been denied private insurance specifically because of my condition so I am left uninsured and paying out of pocket for now. Mississippi does not provide Medicaid coverage for someone in my income bracket, nor will they be expanding Medicaid with the inclusion of the healthcare exchange simply because partisan politics got in the way. I will be taking the chance to apply to the federal healthcare marketplace in October in hopes of obtaining the insurance coverage I need. Please do not respond with how wrong I am or any other form of “you don’t know the facts.” I am a trained insurance coordinator and I know the current laws as well as you do. It is wrong for anyone to assume that similar circumstances apply to all individuals and that everyone can afford risk-pool insurance. While I may not like Obamacare as a whole, I can appreciate the decision to eliminate pre-existing condition clauses. If you visit http://www.TruthAboutPreexistingConditions.com you will find my solutions to improving our current health care system. One of them pertains to funding High Risk Pools with more grants so that the premiums are more affordable for Risk Pool insured members. And, making sure that there is either a well funded High Risk Pool or Guaranteed Individual Mandate in the 5 states that do not have them already. Or we can simply add one sentence to existing HIPAA law so that ALL policies, whether purchased individually or through an employer have full “Portability” when it comes to preexisting conditions. Right now, only those who have employer sponsored plans (90% of the American insured) have these protections against preexisting conditions so that they can ‘port’ their coverage from plan to plan. And, so that all Americans will have to KEEP their plans in place in order to retain that ‘portability’. Allowing one to drop a health plan when they want and to buy a plan when they want (presumably when they ‘need’ it) without proof of prior coverage – as Obamacare does – is NOT a solution. 1.) The ‘fine’ (TAX) for not buying a QHP – Qualified Health Plan – will be only 1% of one’s MAGI – Modified Adjusted Gross Income. This means that a ‘young invincible’ making $30,000 a year will pay less than $300 a year to NOT buy health insurance in the exchanges as opposed to $2,000 to $6,000 a year (depending on where they live) price for a QHP. Prices are this high because of “Community Rating” – a regulation that has already failed in all 8 states it has been implemented in before. 2.) We are not repealing EMTALA. Meaning that these young invincibles can still recieve ‘free’ health care services at any Emergency Room in the country. 3.) We are providing 2 national “Open Enrollment” periods from 1/1/14 to 3/31/14 and from 10/7/14 to 12/15/14 where they can receive health insurance on a guaranteed issue basis. This being the case, there is no impetus for them to buy expensive QHP’s and there is no impetus for them to KEEP their expensive QHP’s. This means that only older and sicker people will be left inside the national risk pool and premiums will increase for them. This is precisely what happened in all 8 states where “Community Rating” and “Guaranteed Issue” were implemented before. Again, access to qualified, affordable health insurance and health care for EVERYONE is the desired solution. Obamacare will NOT provide that and will instead leave 27 million Americans uninsured, even after it’s full implementation. Even after we spend $2.6 trillion over the next 10 years, $1.08 trillion in additional taxes (many of which will be paid by the middle class) and we cut $4.95 trillion form Medicare over the next 20 years (according the chief Medicare actuary). You state that you are as well versed as I in health care policy. If so, you should have your own solutions. Please feel free to post them here. I look forward to reading them. Pingback: Champion News | The TRUTH About Preexisting Conditions. Who ever said conservatives are “greedy” has obviously never met anyone like Mr. C Steven Tucker. Thank you for not only enlightening everybody on health care and health insurance (you sure know your stuff! ), but for helping out those less fortunate, those who have lost their insurance and need coverage, and those who need better rates in order to sustain themselves and their families. Our healthcare system needs more people like you, not another government bureaucracy, heavy taxation, or overhaul! Keep up the fine work, and God bless. Thank you for your kind words. It is my honor and privilege to do so. I get “Page not found” when I go through that link. A couple other attempts to find the post failed. I would very much like to read that post. Pingback: Obamacare Critic Loses Insurance Coverage – and Gets Hit With IRS Audit | Alternative News Alert! Pingback: The Council Has Spoken!! This Weeks’ Watcher’s Council Results | Virginia Right! Pingback: The IRS Is A Political Weapon | 36 Chambers - The Legendary Journeys: Execution to the max! Millions of Americans rot in prison for minor crimes yet Obama openly gets away with continual treasonous acts……where is the justice? Thank you for including me Steven and thank you for this website and all you do. Together, all of us who are paying attention, can save our Republic and I don’t think I’m being hyperbolic in saying it needs saving. If we can only get through these next two years. You are a fighter for our rights! God bless! Thank you Sara. Last night was a crucial first step in restoring our Republic. I feel GOOD. My testimony delivered at our state capitol today regarding Short Term health insurance plans. Cheaper non-Obamacare Short Term health plans lasting 365 days returning. Group health insurance for couples ensures access to Chicago Teaching hospitals for small businesses owners. 2018 Individual health plan rates include higher prices for Illinois consumers thanks to Bruce Rauner’s “side hustle”. Why are health insurance premiums still increasing after the PPACA? Illinois Medicaid rationing of care begins. ‘Affordable Health Insurance for all’ means WELFARE for 17 million Americans. The impact of the PPACA “Roberts Tax” on Individuals, Taxpayers & Business Owners. Conservatives must learn Senate rules or Obamacare will never be repealed.